When it comes to personal finance, there is a lot of talk about financial independence and retiring early (aka FIRE), getting out of credit card debt, or paying off student loans and the like. All of these are noble goals to pursue. What is more important is to ensure that you have the necessary solid foundations laid so that your personal finance plan can weather any storm and still hold strong. If the due diligence is not applied, then it is like a building with a weak foundation. You can image what would happen to that building. There is more to personal finance than increasing one’s income, investing, and becoming debt free. In this post, I talk about some of the areas that many people neglect and the consequences of neglecting these areas could have severe impact in your life. I also provide a guideline from my perspective on how each of the personal finance areas should be prioritized. Each area of concern is listed by priority. It is one of the easiest things to do but often times neglected based on erroneous assumptions. As an engineer, one thing that has come back to haunt me is when I have made bad assumptions. Don’t ever assume that you have your beneficiary designation right – check it. An incorrect beneficiary information may cost you dearly. It is a good practice to review your beneficiary information on all your insurance and financial accounts (banks, brokerages, retirement accounts) on an annual basis or when there are any life changing events that occur. Look at the case of Hillman vs. Maretta than went all the way to the Supreme Court. You can read about the case in my post on check your beneficiary designation. A disability insurance is an insurance for your paycheck if you were to get disabled and were unable to return to work. Do you know that most disability incidents happen outside of work? Do you have adequate short term and disability insurance? According to Council for Disability Awareness, “Accidents are NOT usually the culprit. Back injuries, cancer, heart disease and other illnesses cause the majority of long-term absences. Remember that having a disability insurance is a much higher priority than life insurance. Do you know what would happen to all your assets if you were to die today? Do you know for sure that all your assets would go to your loved ones as you intend? Do you have a Will? If you were to die today, then all your assets would become part of your estate and thus estate planning is required. To learn more, read my post on Wills and Living Trusts and Living Will, Powers of Attorney for Healthcare and Finances. Everyone knows about the importance of having life insurance. The question is if you have adequate coverage. There are several ways to calculate how much insurance you need. Read this post to learn about the importance of life insurance, what factors one must take into consideration, and the common methods and online tools available to determine how much life insurance one might need. Most Americans don’t have emergency funds in a savings account when faced with a financial shock including car bills, home repairs, or medical emergencies. Do you have emergency funds in place? If you don’t, it is is important to build your emergency funds up before focusing on other things. You can read my personal story on how I saved my emergency funds or you could you could use something like Digit Savings to start putting money away towards your emergency funds. Are you living within your means? Do you know where your money is going? Can you account for it? Do you have a budget? It goes without saying that you will be broke if you spend more than you earn. I had to learn things the hard way but you don’t have to. Have a budget and stick to it. Your budget could be done with a simple spreadsheet or using tools like You Need A Budget or Personal Capital. This is an other area of concern where a vast majority of Americans have not been saving enough for retirement. What is your targeted burn rate? What is the nest egg you would need? How much should you save (monthly / annually) and invest to achieve your goal? Now obviously, the answers to these questions will change over time. You need to ask yourself these questions on an annual basis and adjust your retirement plan accordingly. Did you notice that paying off high interest debt comes after saving for retirement? The reason is simple – you would be able to put pre-tax dollars into your retirement savings. Paying yourself first is important. Remember, you can’t borrow to live during retirement. By all means, be accountable and pay off your outstanding debt! There are two approaches you could take to paying off high interest debt – the debt snowball or the debt avalanche method. 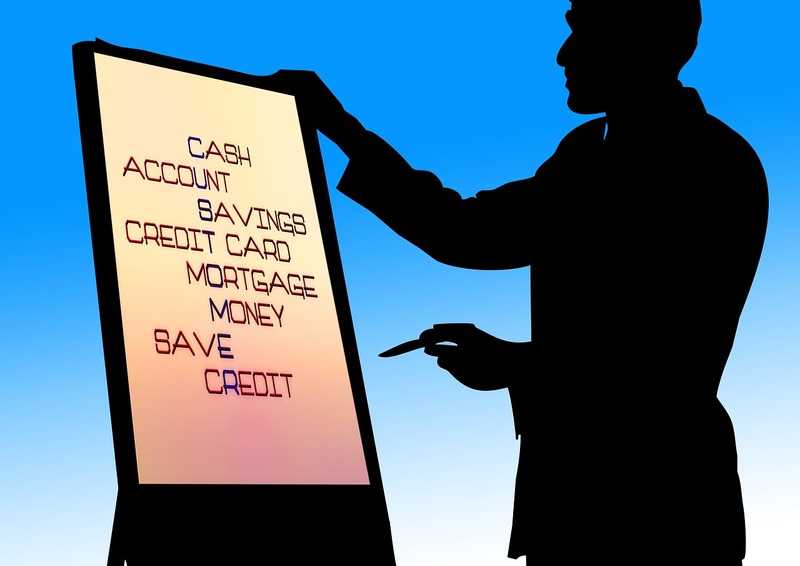 Use the method that works for you – the key is to get out of debt as quickly as possible. Credit card debt, student loans, and the vacation loan 🙂 you might have taken would all fall under this category. Often times, parents fund their kid’s college education without having any retirement savings or by taking money out of their retirement accounts. This is a financial blunder. Remember that you can borrow to go to college but you can’t borrow during retirement. If your children need to provide for you during your old age, you will have a constant feeling that you are being a burden to them even if they don’t feel that way. If your retirement plan is intact, then learn more on Saving for College. If personal finance is a building, now we are on the 100th floor. This topic gets a lot of attention and hype. I am sorry, I need to burst the bubble and all the hype. You are ready to invest after tax dollars if you have addressed all applicable items above. If not, you are not ready to invest. It is very tempting for people to focus on investing than on estate planning. Honestly, why would you want to invest after tax dollars if you are not saving for retirement with pre-tax dollars? It is always a good thing to ensure that you have your tax deductions optimized so that when it comes to filing your taxes, you don’t owe a huge check to Uncle Sam or you are not getting a big check back from Uncle Sam. Consulting a CPA or an accountant at the beginning of the year is a good thing so that they can assist you with tax planning. Does all this sound too overwhelming? The journey of a thousand miles always sounds intimidating. We take it one step at a time. It is time to take a pause, review your personal finance situation, and determine where you are exposed, and address it. It is a noble goal to pursue FIRE (financial independence and retiring early). These steps will lay the foundation to help you be positioned better to achieve that goal. After reviewing this list, where are you exposed? What concerns you the most in these personal finance areas? Can you share what action steps are you planning to take to address the concerns you have identified?